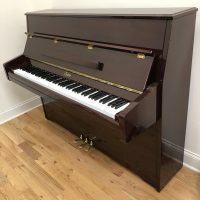 Serial #123255 This mahogany Boston upright piano was designed by Steinway & Sons. 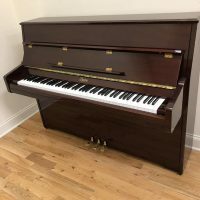 It’s the perfect instrument if you’re looking for a quality upright piano at a moderate price. 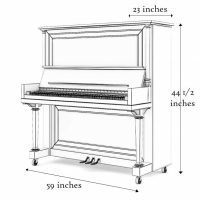 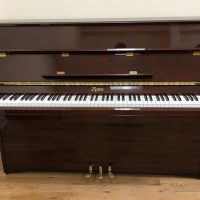 The sound and the touch are both excellent and the price is thousands less than what you’d pay for a comparable new Boston upright piano. 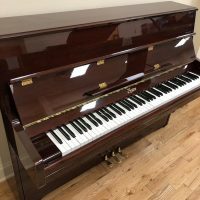 Enjoy it for up to ten years and then trade up to any higher quality, new or used upright or grand in our inventory that’s twice the price of this piano or more.